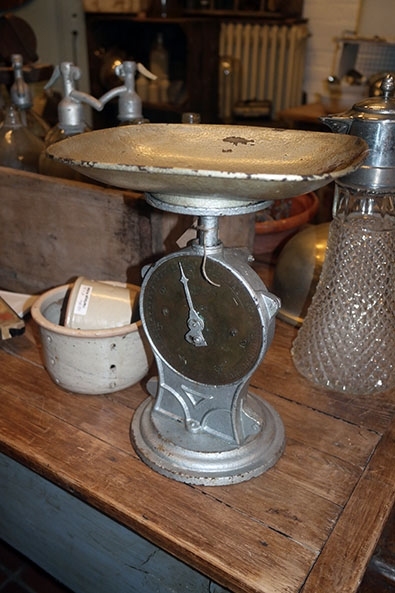 Lovely antique cast iron salter's kitchen scale, ca. 1900. 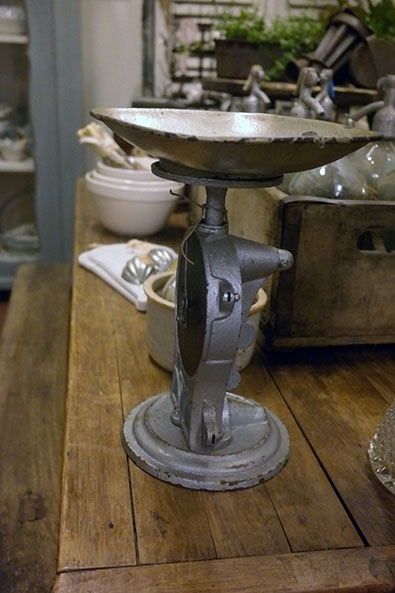 Very nice scale, cast iron with the original silver paint. 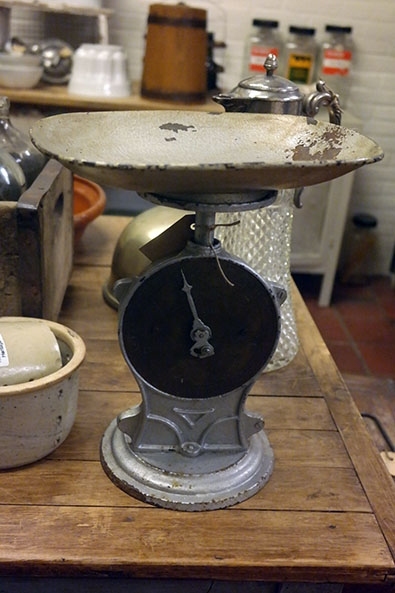 The scale has a brass dial. 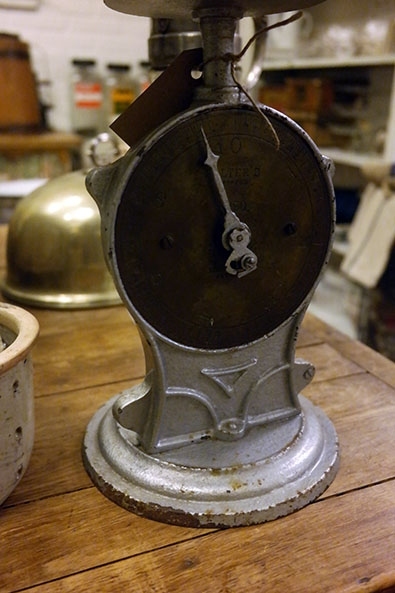 In good condition with original patina, but unfortunately it does not point to zero anymore, maybe someone who is handier than we are is able to fix it. Measures approx. 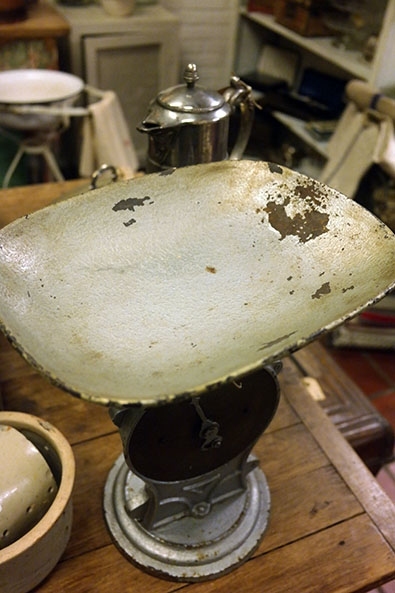 30 cms tall, the bowl measures approx. 26,5 x 20,5 cms.